Trucking business can be very rewarding. Whether you are a motor carrier or owner-operator, have towing or other kind of service involving trucks, your livelihood depends on that vehicle. We can’t stress the importance of a reliable commercial truck insurance enough. Should anything happen to your truck, your insurance company must be willing to cover repair expenses, at least. If your truck is not covered with proper insurance policy, accidents can be a serious threat to your whole business. 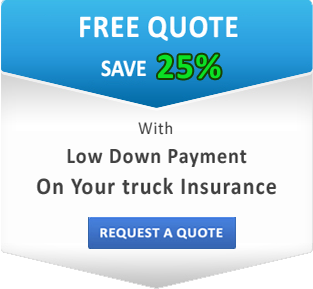 What kind of California Commercial Truck Insurance fits your needs best? The type of coverage that works best for you depends on the kind of commercial truck you operate. 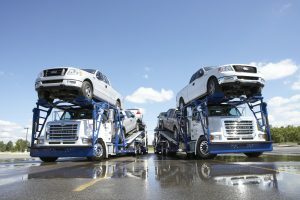 If you have a car carriers and box trucks, for instance, you require very specific truck insurance. However, the base of any commercial truck insurance is liability insurance. If your truck is involved in an accident at your fault, this coverage will pay for bodily injury and property damage of the other party. This truck insurance is not just a legal requirement but a guarantee of your piece of mind. While liability insurance covers the damage caused to the other party, physical damage will cover the repair costs of your truck. It involves collision insurance and comprehensive insurance, two in one, to protect you from all kinds of damage. What other options and combinations of commercial truck coverage you can choose from? Call SafeLine Truck Insurance and let us answer your questions. You deserve a coverage that will protect your business, and fit your budget. Same day insurance quotes are available online!